Circle, Coven and Grove is nicely written and informative, great for any practitioner, novice to high priest or priestess. Deborah Blake has put together the basics of successful practice and a wheel of the year schedule that is easy to follow for any magickal seeker wishing to follow the old ways. This book is packed full of hints, tips, suggestion and practical etiquette for a happy and pleasant magick experience. No matter your style or path, this book encompasses all. Easy to follow spells, and holiday celebration rituals are especially beautiful. 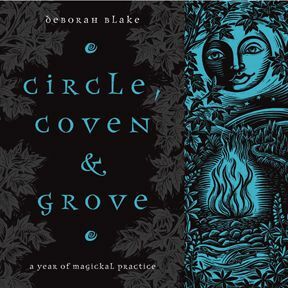 Circle, Coven and Grove is one of the most cheerful and friendly books I have the pleasure of reading in a long time. A true witch’s hand book; a must for all who seek.